Can you believe it’s December 1st already? I can’t! We always have our My Time Made Easy ™ LLC Release on the 1st, and preview the releases a few days early. If you are familiar with that you may be wondering WHAT happened?! Well I sorta gave myself and the team some time off from a big release. With the holidays coming, and the fact that I just moved, and am STILL unpacking my stamp room (in between typing this up!) I needed a little break. That is why we offered a killer sale last week, and why I’m taking it easy this month! Rest assure that in January I will resume our usual schedule! Now we ARE releasing a few goodies, just in time for those last minute gifts 😀 CLICK HERE TO VIEW! 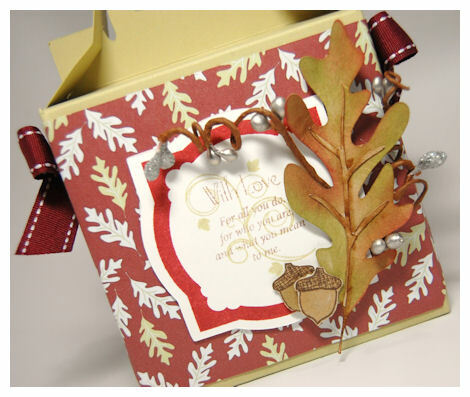 Today we have a blog hop WONDERFULLY WRAPPED with inspiration!! The team has gotten together and used a BRAND SPANKIN NEW! template : WONDERFULLY WRAPPED with some older images and/or patterned paper, to help inspire all sorts of gift ideas, just in time for the holidays, or for ANY occasion! So let’s see what this new template is ALL about! 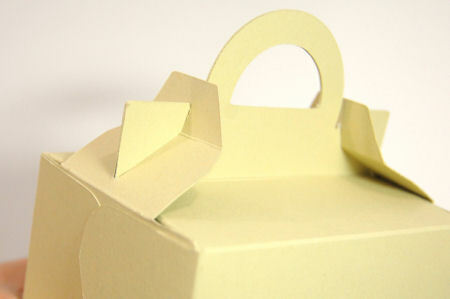 This template gives a stunning new look, to an “old” packaging template, the Gable box. 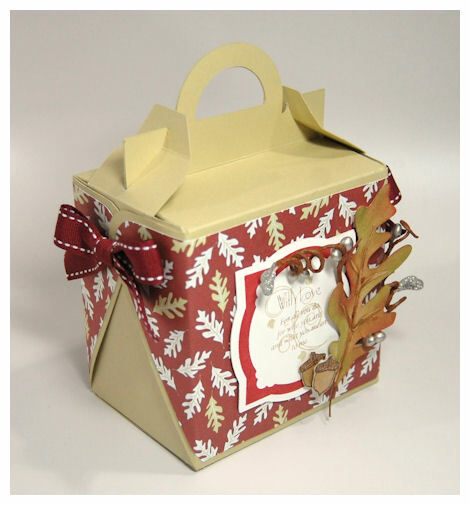 It looks wonderfully wrapped and ready to send off for any time of year! 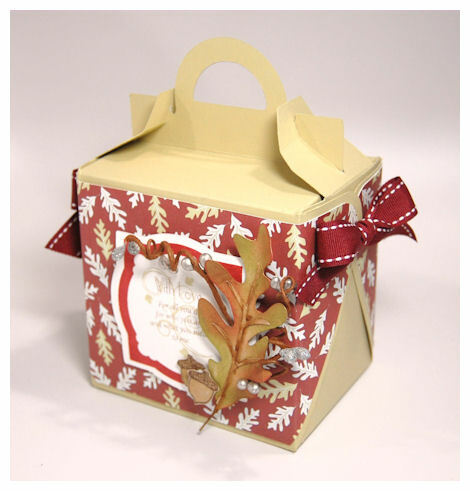 Here I chose a fall/masculine theme for my gift packaging by using the Autumn Leaves Collection 1 Pretty Printable Patterned Paper! 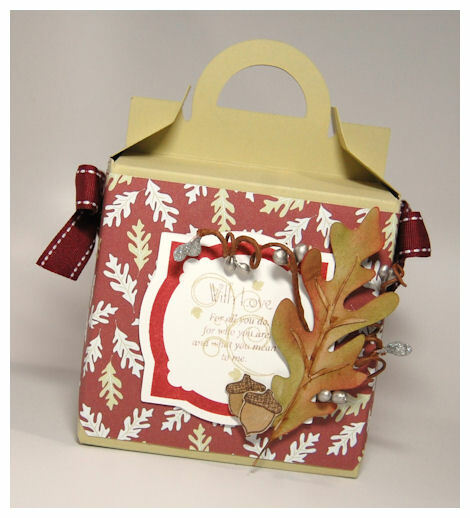 My base was made from a River Rock colored cardstock, then my decorative layer used the paper for a simple POP! For my main layer I used the Killer Curves solid frame, cut with Killer Cuves Cut File, and stamped my sentiment from So Sentimental inside. I also snuck in a favorite, Fanciful Flourishes, since I used the Old Oak Leaf Cut File (yes that is paper!!) with some creative sponging, as my accent. I think it made this a total WOW! I also added some sweet little acorns from our $6 set: Thankful. In this template you can quickly, easily, stylishly and affordably package up everything from cookies, cupcakes and candies to bake mixes, stuffed toys, ornaments, stationary, beverage items, bath items, and candles! There is no limit! We have a “handy” handle, with side closures that is true to the Gable box style, and a unique style side flap closure that can lend it itself to a world of design options! This completed projects is a wonderful size and the perfect wrap! 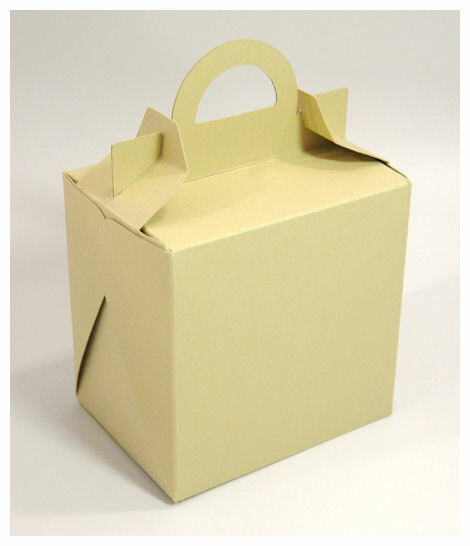 Contents are held secure, and nicely inside, while you can carry it to the receiver in style. No matter what gets wrapped up in the template, it is sure to be wonderful! Well thanks to all of you for stopping by! I am hoping to get my craft room done by the weekend so I can return with some MORE eye candy using this fun new template! Ok, enough of that. I need to organize! !